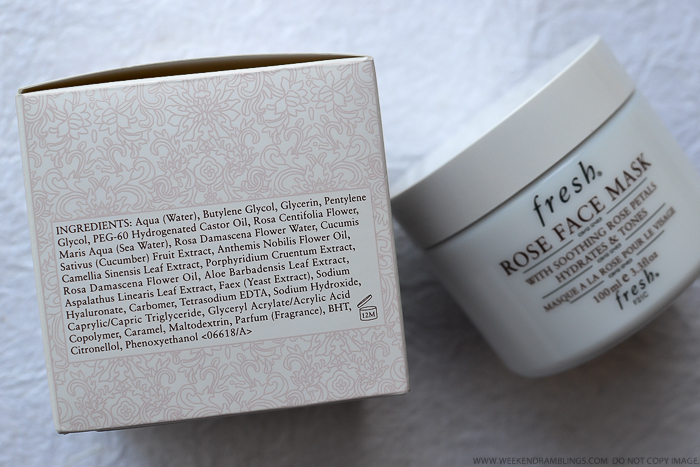 Like a lot of other Fresh products I have tried so far, the Fresh Rose Face Mask too comes beautifully packaged in a heavy ceramic jar. 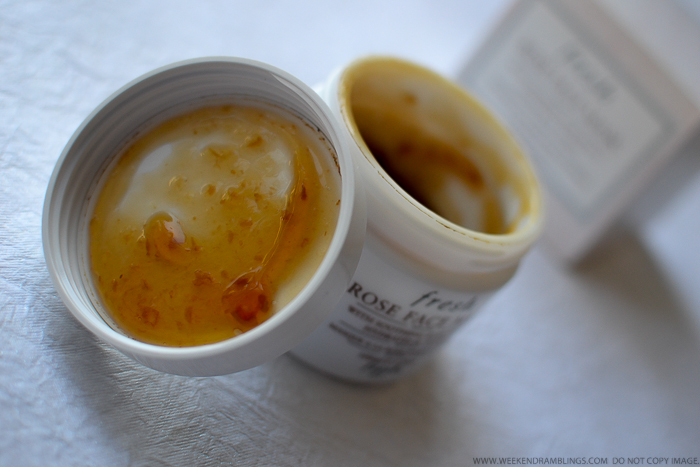 The mask itself has a gel-like consistency with bits of rose petals floating in a decidedly unappealing brownish base :P The fragrance is mild and is a mix of cucumber and rose. 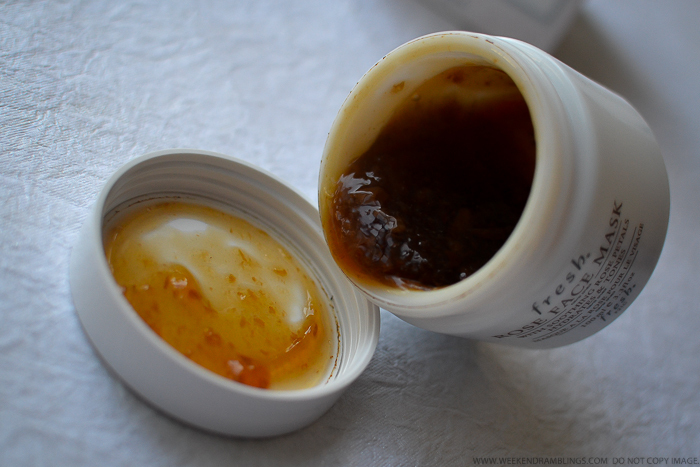 To use, apply a thin layer of the mask and leave it on for about 5 to 10 minutes (I keep it for for about 5 minutes only). Wipe off the mask with a tissue and rinse off any residue with cool water. Follow with any regular moisturizer. 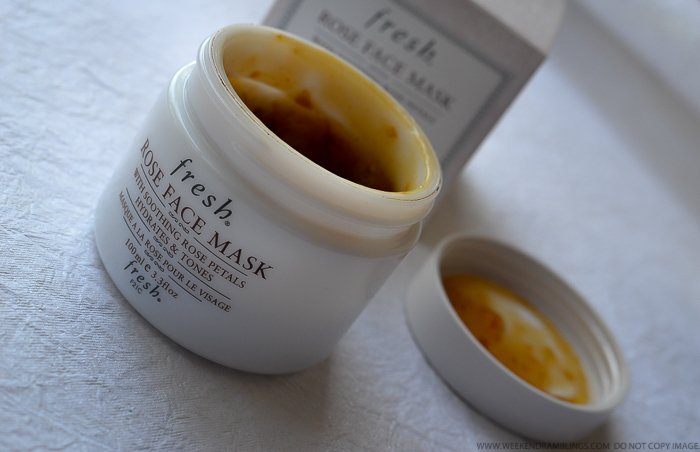 The mask feels cool and quite refreshing, especially if kept in the fridge and applied on a hot summer day. 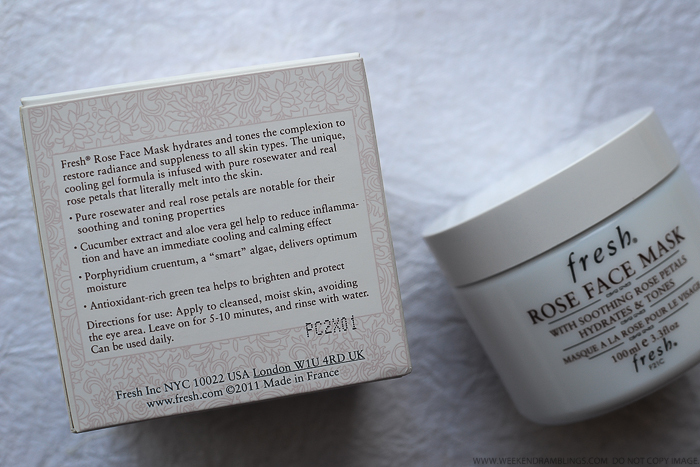 For my oily-combination skin, I found this a good, basic mask that leaves my skin looking and feeling refreshed. 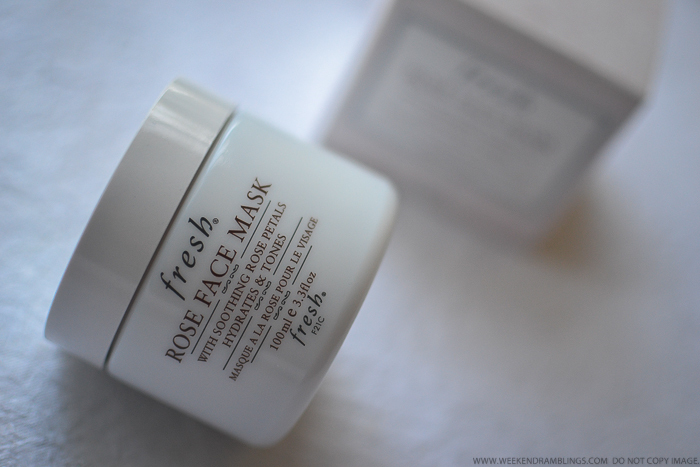 While I definitely appreciate the cooling and toning effect, I find this quite a mild mask. Great for a quick pick-me-up, especially in the summers, but nothing very dramatic. I love leaving my rosewater (in a spray bottle) in the fridge - such a nice, cooling spritz when I come home! 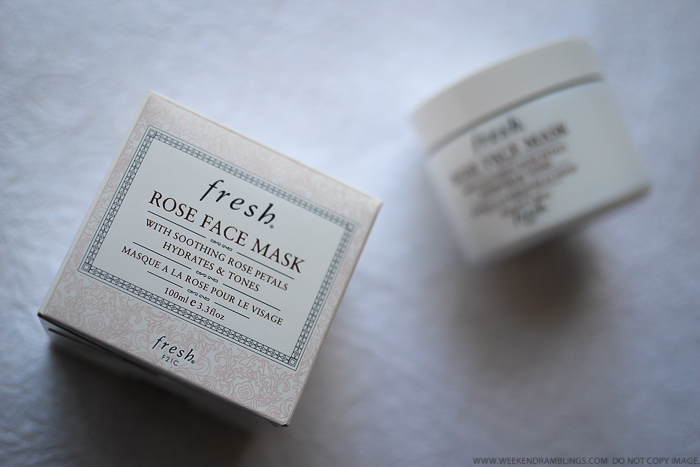 But yes, the brown color of the mask doesn't mesh with my idea of a "rose face mask"!